The Flooring project is almost finished. 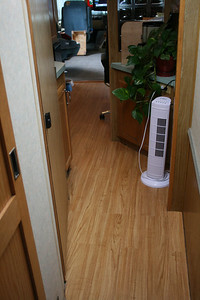 Trafficmaster Allure vinyl flooring in kitchen, hallway and bath. Carpet in living room and bedroom.